imAndystorm.com. Singapore Lifestyle. Travel. Food. 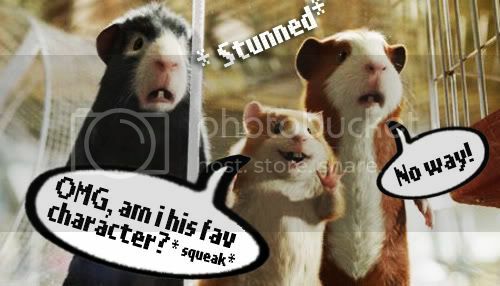 : Who's my favourite G force character? Who's my favourite G force character? "Which is my favourite G-Force Character(s) ?" Eh, excuse me Darwin. You think too much la, I haven't even announce leh. Before I announce, let me just share abit more about the movie! G force is a comedy adventure about the latest evolution of a covert government program to train animals to work in espionage. 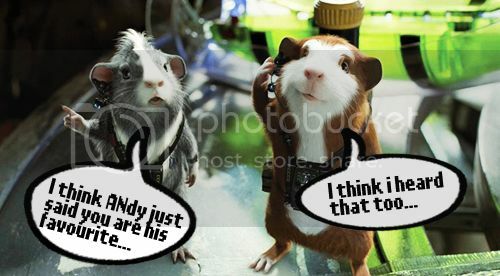 Armed with the latest high-tech spy equipment, these highly trained guinea pigs discover that the fate of the world is in their paws. Darwin (Sam Rockwell): The squad leader determined to succeed at all costs. Blaster (Tracy Morgan), an outrageous weapons expert with tons of attitude. Hurley (Jon Favreau): A gluttonous guinea pig. 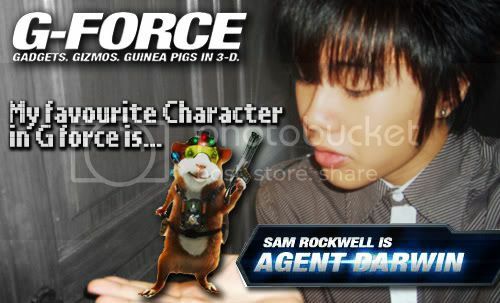 P.s: Meet the G force team on the Movie website! With an motto of "Leave no rodent behind" and an attitude of "Determined to succeed at all costs" Agent Darwin is my favourite character in the G-force! 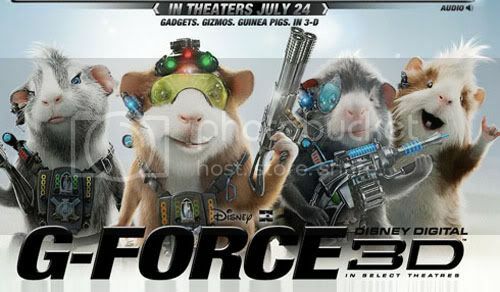 Catch G-Force in Cinema 4th September 2009!